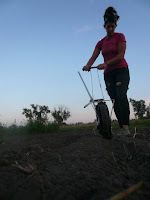 Carolyn found the spark to delve into the agricultural life in 2009. 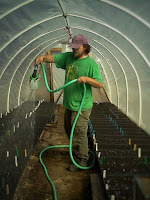 She headed to apprentice under seed-saver extraordinaire Andrea Berry of Hope Seeds in New Brunswick, Canada, where she learned the intricacies of farming and seed saving. From there Carolyn found a place in the California fields under the tutelage of noted seed saver Suzanne Ashworth. With a couple years of farming under her belt, she returned to the Land of Lincoln in 2011, where she gained experience working with animals, coordinating farm events, and running Three Plaid with an iron fist of love. Joe first dipped his toe into farming circa 2007. Before that he tried to be a writer/editor, but being inside so much drove him to the very edge of insanity. 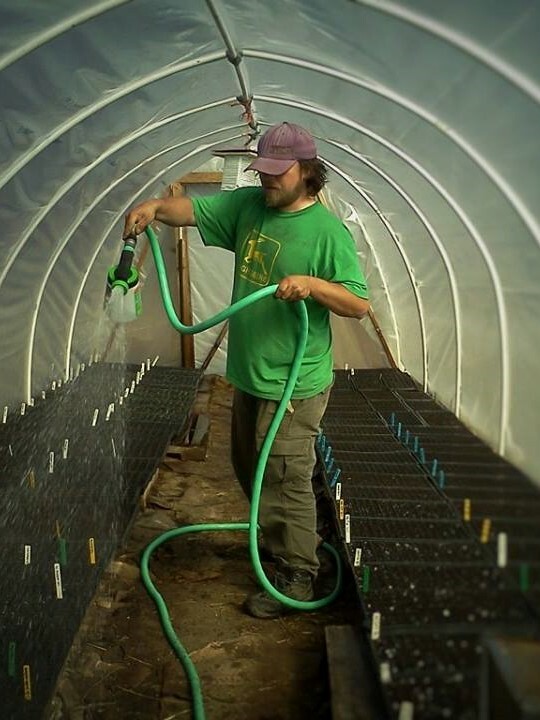 He grew up in west suburban Chicago, was introduced to and fell in love with farming in central Wisconsin, and made his way back here via a farm stop in the mountains of North Carolina. He's done everything from veggies, to fruit, to livestock, and dairy and feels lucky to have worked with some of the country's great farmers. If you visit the farm, he’ll be the filthy dude in sandals and ridiculously holey clothes. To learn why we call ourselves Three Plaid Farmers despite being a team of two, click here.